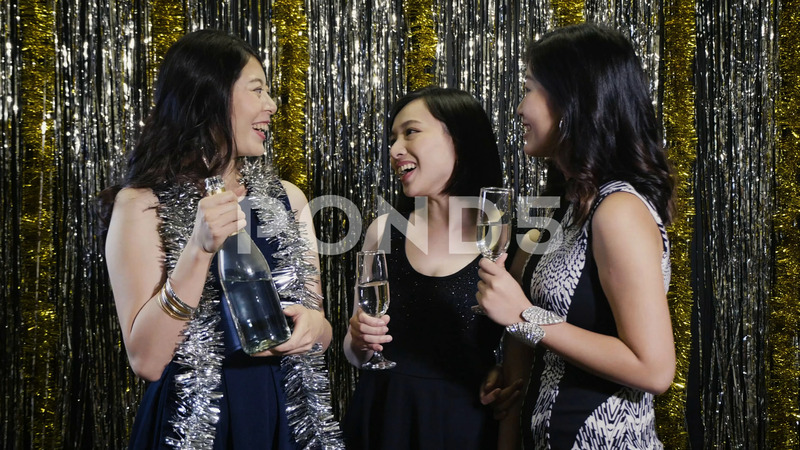 Description: beautiful sisters love alcohol holding a bottle of wine chatting at nightclub cheerfully. young girlfriends talking about some funny things and laughing joyfully. music happy women at club lifestyle.